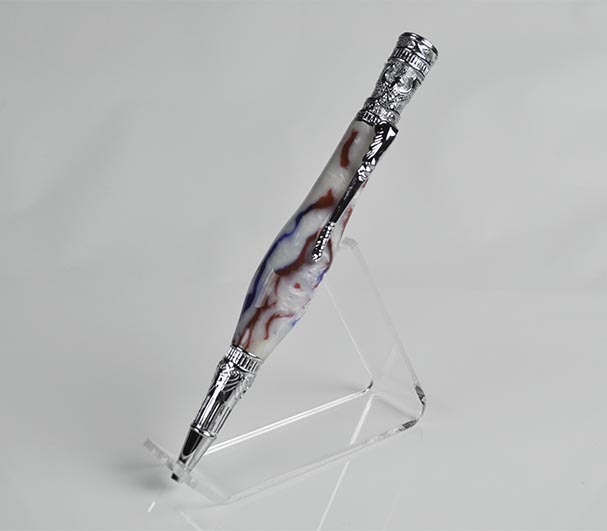 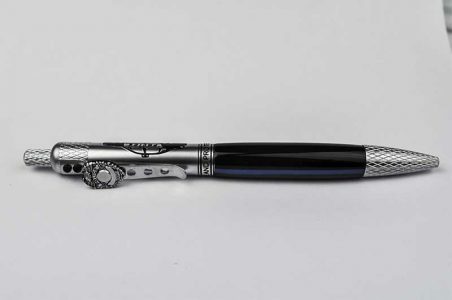 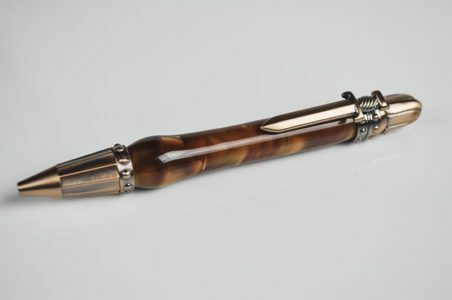 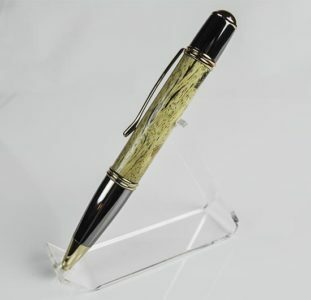 This exquisitely detailed pen was inspired by the Federal period and will make a rich, historical gift. 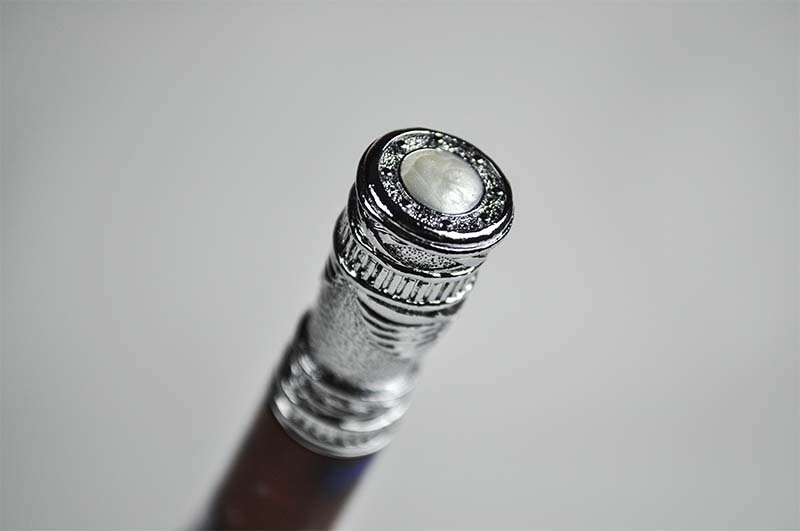 The Federal period represents a 50-year period starting about 1780. Architecture, furnishings and decorative embellishments of this era typically reflected the Neoclassical style, which includes influences from Greece and Rome. The pen end features a Federally inspired convex mirror which helped to illuminate rooms when accompanied by candles. 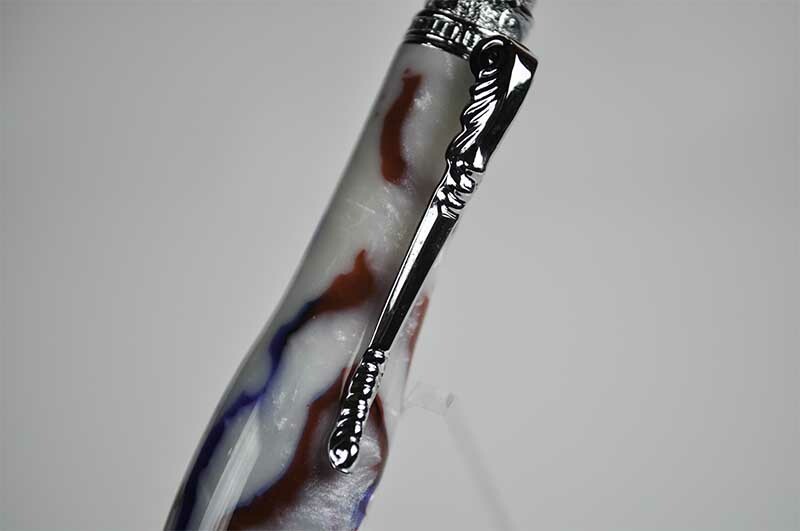 The pen end also includes Doric column influenced designs as well as a striking bald eagle which was a common symbol used during this period. 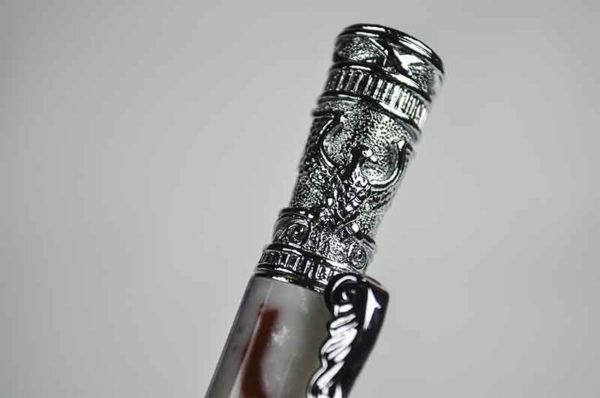 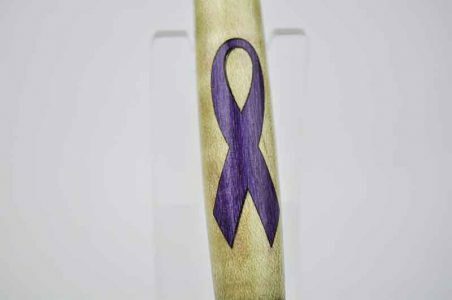 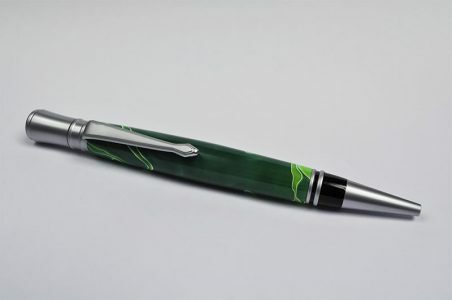 Finally, the pen clip and elements on the pen end and tip feature detailed, intricately designed scrollwork. The barrel is a white acrylic with red and blue highlights. 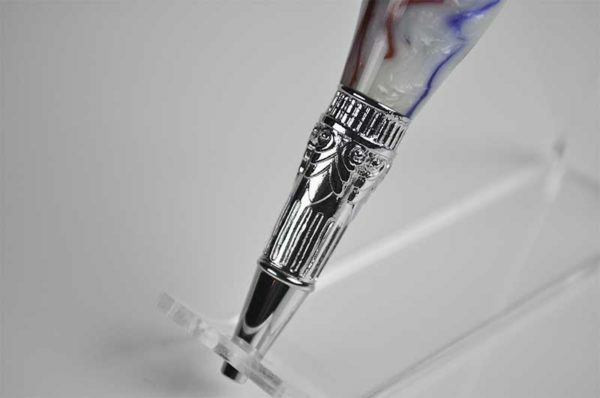 Features a Parker™ style refill.